• Backed by Human Clinical Studies! 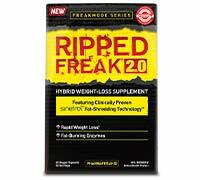 RIPPED FREAK® 2.0 is a clinically backed fat-shredding supplement! RIPPED FREAK® 2.0’s cutting-edge formula features the clinically proven ingredient complex SINETROL®, which was developed by the French company FYTEXIA and is proven to increase fat loss through a unique mechanism of action. In addition, clinical studies show that SINETROL® can specifically target and enhance abdominal fat loss! The fat-burning effects of grains of paradise (GOP) are primarily linked to the presence of an active phenol compound called 6-paradol. Human clinical studies show that GOP increase whole-body energy expenditure through activation of brown adipose tissue (BAT). Use: Take 1 capsule, twice daily. Take with food (e.g., take 1 capsule with breakfast and 1 capsule with lunch). Warning: KEEP OUT OF REACH OF CHILDREN. Do not use if pregnant or nursing. Not intended for use by persons under the age of 18. For occasional use only. If you are taking prescription medication, consult a health care practitioner prior to use as citrus bioflavonoids may alter the effectiveness of these medications. If you are pregnant or breastfeeding, consult a health care practitioner prior to use. If you have high blood pressure, consult a health care practitioner prior to use. Consult a health care practitioner prior to use if you are taking lithium. Consult a health care practitioner prior to use if you have high blood pressure, glaucoma and/or detrusor instability (overactive bladder syndrome). 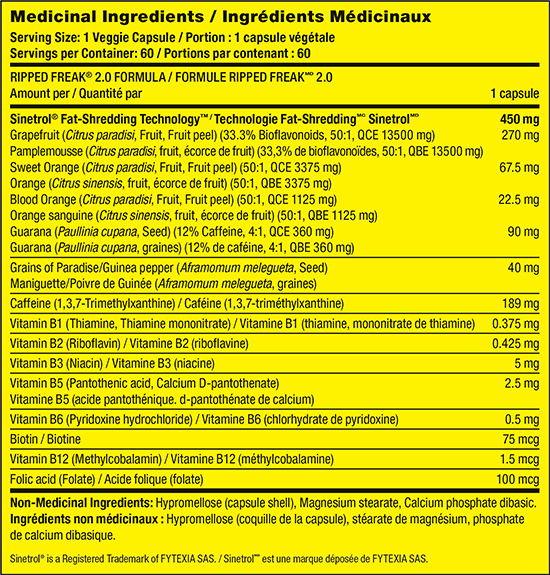 Consumption with natural health products (e.g., bitter orange extract, synephrine, octopamine, ephedra) or other drugs (e.g., ephedrine) that increase blood pressure is not recommended. Consumption with other caffeine-containing products (e.g., medications, coffee, tea, colas, cocoa, guarana, maté) is not recommended. This product is not intended as a substitute for sleep. Hypersensitivity/allergy is known to occur, in which case, discontinue use. People sensitive to nicotinic acid may experience flushing of the skin that is generally mild and transient. Store under normal storage conditions (dry, well-ventilated premises at 15–25°C).